The hidden scars from the trauma suffered at the hands a spouse, an acquaintance, a terrible accident or witnessing a trauma. 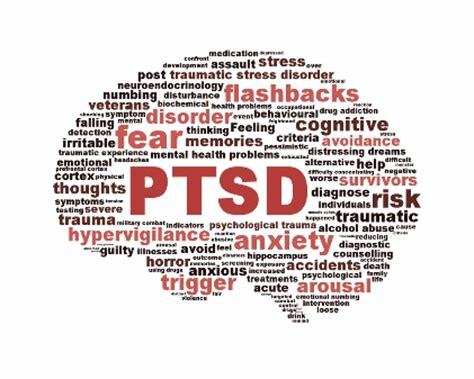 PTSD has been more associated to soldiers coming back from war, however first responders and victims of domestic violence in significant numbers are also sufferers. Something terrifying happens to you. Your heart races. Your palms sweat. You can’t sleep. You don’t want to eat. You can’t get the events of that day out of your mind. Any and all of these are completely normal responses to trauma and would be expected of any one of us. We all experience traumatic life events at some point – so we are all familiar with these physical responses. However, for many of us, particularly our service men and women, the physical responses don’t go away with time. In many cases, they become worse.